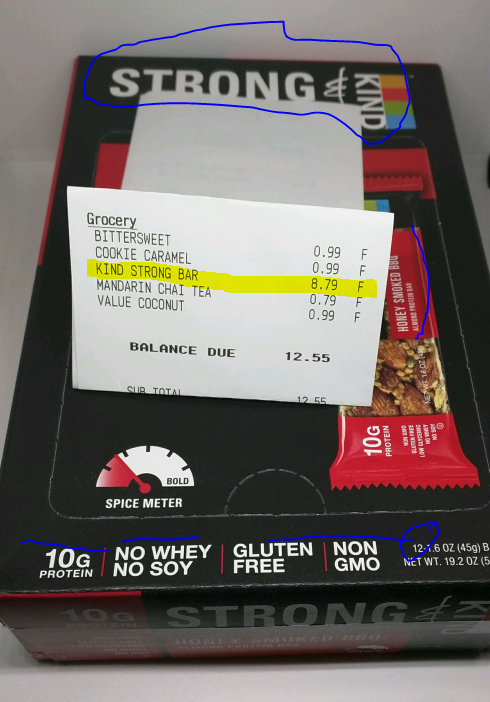 This is a YMMV promotion as both availability and pricing may vary from store to store and region to region, but at some Grocery Outlet stores, you may find a 12-pack of the “Strong and Kind” Kind bars in the “Honey Smoked BBQ” flavor for $8.79, or you can buy individual bars for 75 cents each (comes out to $9 for a dozen but you don’t get the colorful cardboard container). If you are not familiar with these, the “Strong and Kind” are different from the regular Kind bars. They are on the spicy side (varying degrees of spiciness, nothing really that makes you jump up and down). So it’s for fans of sweet and spicy. They are also protein-focused, the almonds are strong with these ones (no pun intended). This price decidedly defeats Amazon’s prices even with Subscribe and Save discounts factored in. Lunch or dinner is on T-Mobile with the Tuesday 1/31/17 rewards for customers participating in their Tuesday freebies. The headliner is a small entree of Firecracker Chicken at participating Panda Express locations. This is a spicy chicken with some veggies. You get it for free. You don’t have to buy anything else. This is above medium in terms of spiciness, so make the necessary preparations. One way to turn this into a meal is to throw it on top of a bowl of rice! This is one per line but apparently the code is generic, so some others in the deal forums who are not customers are taking advantage of it (by placing mobile orders since they don’t have the T-Mobile Tuesdays app to use it in-store). The other two offers are a coupon ($20 off at Fanatics sports fan-gear), and another free movie rental at FandangoNOW. You get a $5 credit towards ONE movie rental. Any unused amount (eg if your movie rental is $2.99) is forfeit. You don’t carry it forward. 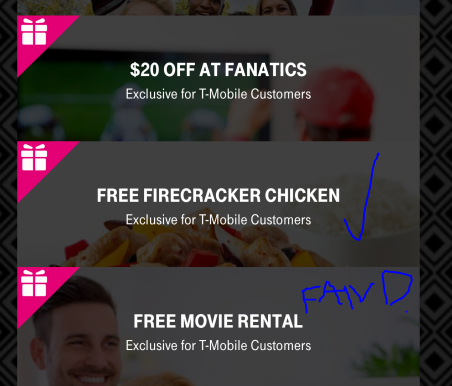 This offer is one per FandangoNOW account per week, so the restriction is not on the number of T-Mobile lines, but the FN accounts. The offer runs Tuesday January 31st AM until the end of day on Monday February 6 in 2017, a full week. One time use per customer during this promotional period, so even if you buy 100 of each, you will only get a one-time 150 stars bonus. Bonus will be added to your account by 2/13/17. Good news if you are a fan of Google Play and are participating in the Plenti rewards program! The gift card offer returns for the shopping week of January 29 until the end of day on Saturday February 4 in 2017. It is the usual terms, you purchase a $25 Google Play gift card at Rite Aid B&M stores, and receive 500 Plenti points, which are worth $5 towards future purchases (at Rite Aid or Exxon-Mobil or Macy’s or other participating retailers). The 500 points will show up in your Plenti account the next morning, so it’s quick and you don’t have to lift a finger to get your reward. Doing the math, this is a 20% virtual discount. As before, the promotion is limit two per Plenti rewards member for this promotional period. Unlike iTunes gift cards that get discounted often, Google Play is not as often, so these are perhaps the best deals of them (as long as you are a Plenti member or you don’t object to joining in). For the shopping week of Sunday January 29, until the close of business on Saturday February 4 in 2017, you can get 20% off on GAP gift cards at Staples brick and mortar stores. 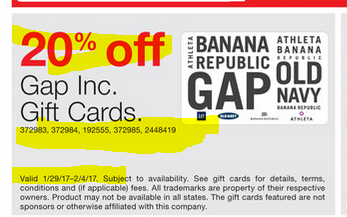 GAP gift cards can be used at their family of companies (including Banana Republic and Old Navy). The sale is automatic at the register, you don’t need a coupon, you don’t need a rebate! 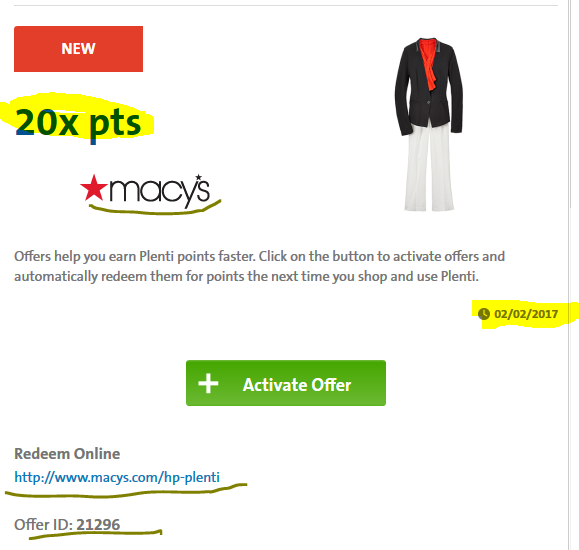 If you are a fan of shopping at Macy’s and you are participating in the Plenti rewards program, there’s a new promotion that should be available in your account to activate (this offer must be manually activated before you earn the bonus). With this offer, you earn 20X points, which is 20% back, since 1 Plenti point is 1 real-world penny! As you can see in the screenshot above, this offer runs until 2/2/17, but fear not, Macy’s is one of the cornerstone partners in Plenti (and “friends” of AMEX), so they’ll keep rolling out offers as time goes by. If you go through pens, or want to help a local school or non-profit or church or any other places that has a front desk or place that require analog form filling, there is a pretty good bang for the buck on AmazonBasics branded pens (yes, Amazon is expanding their budget house brand to all kinds of different products). This 100-pack of ballpoint stick pens is currently on sale for $5.49. The box is a mix of black and blue ink pens. You can see how much ink is left in them. These are part of the Add-ON program, so you must place a $25+ order if you want to buy them regardless. You can get to that with five 100-packs or any other combination of products that are sold or fulfilled by Amazon actual. 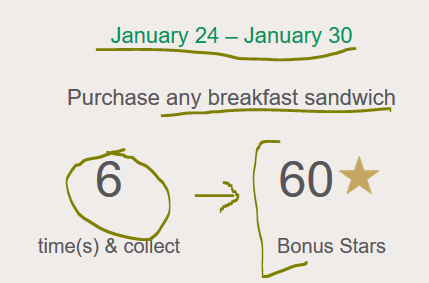 If you purchase six breakfast sandwiches between January 24-30 in 2017, you will receive 60 Bonus Stars, in addition to the regular stars you receive on the purchase amount. You don’t have to buy them on separate days, I believe six individual transactions are all it takes. I’ve never tasted buying multiple quantities of the same item for these type of promotions, so I don’t know if that counts individually as well. You only earn the bonus once during this promotional period, so whether you buy six or 500 breakfast sandwiches during this promotional period, you only get 60 Bonus Stars. The bonus will be added to your account by 2/6/17, but these days, they are pretty good at adding the bonuses quickly to your account. PS: if you are not familiar with what qualifies as a breakfast sandwich versus a lunch sandwich, you can use their menu or the “Order” section of the Starbucks app to locate them. The cheapest option is the $2.95 Egg and Cheddar muffin. T-Mobile is launching a new twist with some of the “Tuesday” offers. Two of the offers in the Tuesday 1/24/17 group are not only good for you, but you can also send them to a friend. You still get yours, regardless of whether you send to a friend or not. 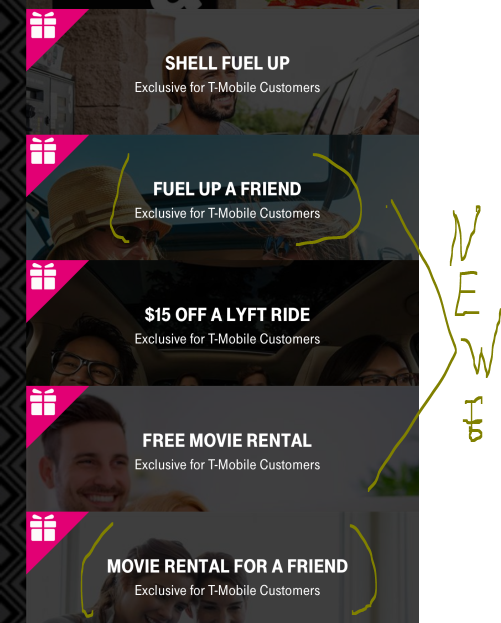 The two offers that have this feature are the FandangoNOW movie rental (rent one movie up to $5), and a 25c discount per gallon on a Shell gas station fill-up (this is really a coupon, not a freebie). When look at the website there, you’ll see something about gift cards. These are NOT freebies. The gift cards ar part of the prizes. To win prizes, you have to punch that magenta wall. You get one punch per line, not per customer. You have to be logged on to that particular line per punch. Most of the time you “win” the freebies but some people (presumably) win some of the prizes. 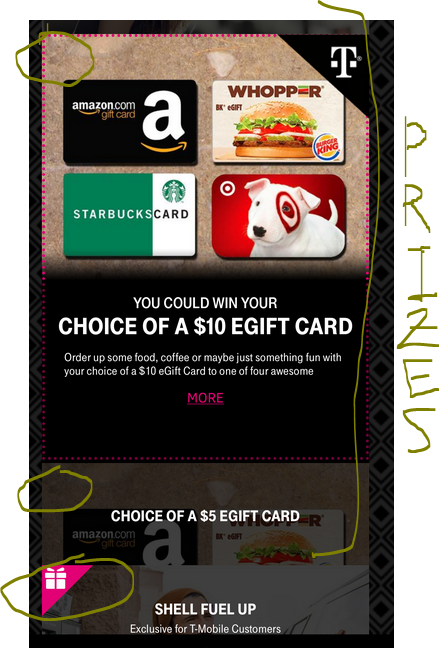 So the following $5 and $10 gift cards are not freebies for all, but only prizes! If you are interested in tea and want an ebook to go along with it, there is a limited time promotion at Amazon, the Kindle edition of the book “The Art and Craft of Tea” by Joseph Wesley Uhl is on sale for $2.99. This is a 160 page ebook. It has many pictures, so it’s best enjoyed (the visual part at least) on color screens (bigger phones or tablets). The text of course is great on e-ink e-readers. This currently averages 4.8 out of 5 based on 19 customer reviews. You can both request a sample of the Kindle edition, and if you go to the page for the hardcover edition, you can also do the good old “Look Inside” which shows you random content within the book. Both are useful in evaluating an e-book, because the Kindle samples are always the first few pages, while the “Look Inside” jumps all over the book. The Fargo TV series on FX has been getting a lot of critical praise, but in today’s Peak TV world, it is hard for it to get mainstream action. Still, it’s there to watch and stream if/when you please, and the DVD set for Season 2 of the show is currently on sale for $10 at amazon.com with Amazon actual being the seller of record. You can buy up to three sets at this sale price. Free shipping as usual, Prime or with a $49+ purchase. This is a great deal for an instant classic sci-fi TV show! 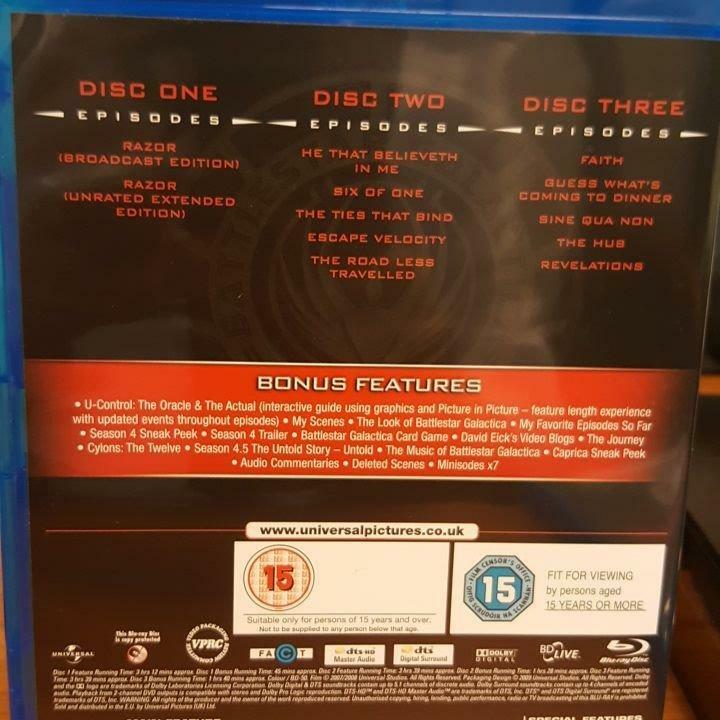 The UK import edition of the BluRay set of the Battlestar Galactica Complete Series (all four seasons, the mini-series, and some (but not all) of the made-for-TV movies and extras) is offered in a region-unlocked set, in new condition for $36 fulfilled by Amazon. A marketplace seller is offering them, but they are Prime-eligible, so free shipping if you are a member. Note however that a digital copy is NOT included. You get the TV series in BluRay and that’s it. Given the price, this is cheaper than completing the series if you have some but not all of the individual season and half-season bluRays. When this was airing on TV, each TV season (back when they had 20+ episodes) was sold (and aired) as a half-season. 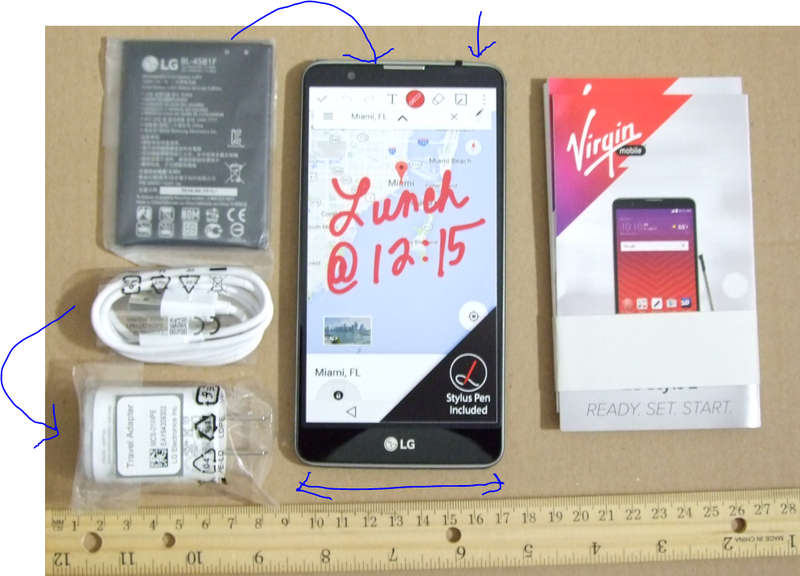 You can see a summary of the special/bonus features in the red segment of this customer review picture. Back to Starbucks Rewards, another invited offer is circulating in emails, and you have to manually activate/join the offer if you had been invited to participate. 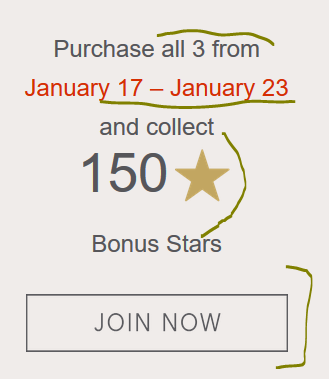 This is a “pick three” offer, you buy three different items from three different product categories, and you receive 150 Bonus Stars on the purchase. You can only earn one trifecta bonus during this promotion which runs January 17-23 in 2017. 150 Bonus Stars are worth 1.25 rewards, so that’s not a bad promotion! I don’t know if reward redemptions for the above items also qualify towards the limit or you have to buy them with “fresh money” in order for them to qualify. The rewards should be added to your account by the end of the month if you buy all the eligible items. The good news is that they have been getting better at loading rewards after qualifying purchases. 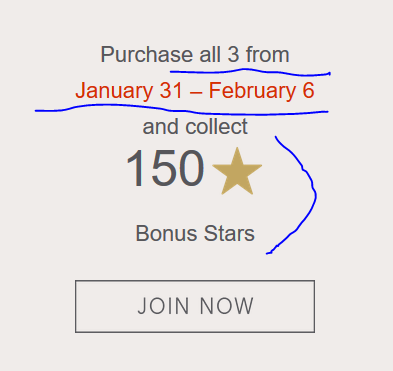 In some recent promotions, the bonus stars appeared in the app within minutes of qualifying purchases.